You can visit our site without revealing any Personal Information. Should you choose to provide us with personal information, we only use your Personal Information for improving the site. And we will never sell any personal information to a third party. By using the Site, you agree to the collection and use of information in accordance with this policy. This data may include information such as your computer’s Internet Protocol (“IP”) address, browser type, browser version, the pages of our Site that you visit, the time and date of your visit, and the time spent on those pages and other statistics. With this information, we run statistical software to identify which parts of our website are most heavily visited, however we do not link IP addresses to anything personally identifiable. We also use IP addresses to help diagnose problems with our servers and to administer our website. Cookies are files with small amounts of data, which may include an anonymous unique identifier. Cookies are sent to your browser from a web site and stored on your computer’s hard drive. Like many sites, we use ‘cookies’ to collect information. You can instruct your browser to refuse all cookies or to indicate when a cookie is being sent. However, if you do not accept cookies, you may not be able to use some portions of our Site. PII is any personal information such as name, email address or phone number. We may ask you to provide us with personal information on a voluntary basis in certain areas of our Site which may include email correspondence, receipt of newsletters, comments on public forums and blogs, and social networks. 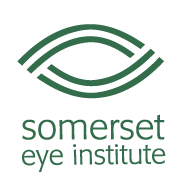 You will be given the right to opt-in for receiving any materials and/or correspondence relating to the Site from Somerset Eye Institute. Our Site may provide links to various websites that we do not control. By clicking on one of these links, you will be transferred out of our Site and connected to a website of a company or organization that you choose. Somerset Eye Institute is not responsible for the nature, quality or accuracy of the content on such websites. Each of these sites maintains its own privacy policies and procedures and we encourage you to read that company’s website policies before providing any PII with that website. No personally identifiable information, including emails, will ever be sold to any third-party entities. At Somerset Eye Institute, your health (and primarily your vision) are of the utmost importance to us. It’s no wonder that every year, over 9,000 patients trust SEI and our board-certified physicians for their ophthalmic procedures and care. To gain access to the area’s highest quality ophthalmic doctors who specialize in the eye care you need, please complete this short form and let our staff assist you personally.